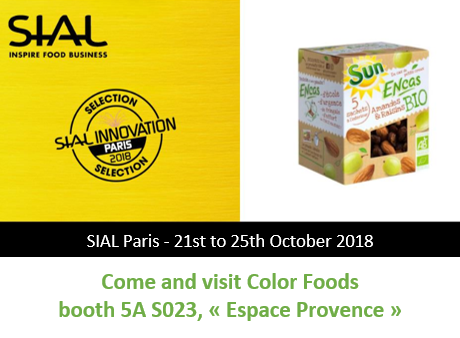 Color Foods will present its innovation at SIAL Paris including its SUN ENCAS BIO range, finalist of the SIAL Innovation 2018 competition. 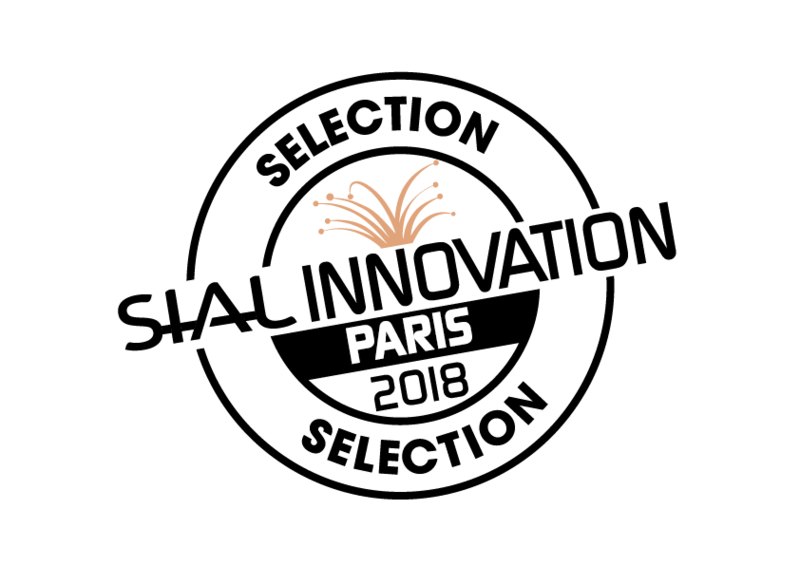 Come and visit us at the Espace Provence – booth 5A S023 – October 21st to 25th 2018. SIAL is the world’s foremost event for food innovation dedicated to professionals in the sector. 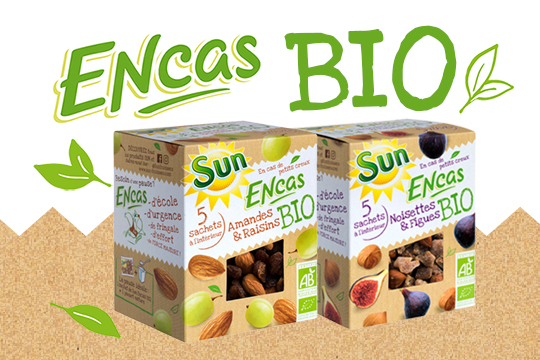 Color Foods – among the top 3 French companies in the market for dried fruits – under the brands SUN and LA FAVORITE, will present its products and innovations, like its range SUN ENCAS BIO, selected for the final phase of the competition SIAL Innovation! Inside: mini mix of organic dried fruit, tasty, natural and health in a practical nomadic bag. Stored in your kitchen closet away from light and moisture in a recycled (and recyclable) cardboard box, 5 30g-bags of organic dried fruit and nuts make the perfect snack to accompany you all day long—simply pop one in your sports, hiking or travel bag, a handbag, a child’s satchel or even in your pocket (plain and discreet, our smal packet will go with whatever you’re wearing)! Thus, a bag of 30g corresponds to the daily portion recommended by GEMRCN* and approved by partner nutritionists, representing one of the five daily recommended portions of fruit and vegetables.